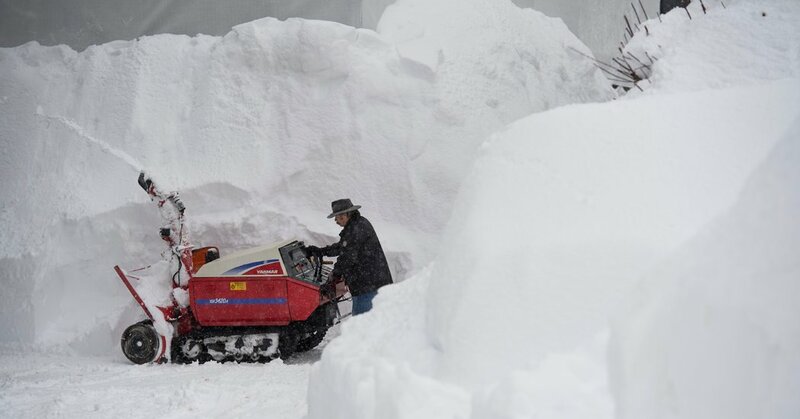 In perhaps the most harrowing indignity for the plutocrats who have made the World Economic Forum their favorite winter meeting ground, even the town’s helicopter pad was closed because of the snowstorm. By early afternoon, a quarter-mile trip in one of the ubiquitous black luxury minivans with plush leather seats that shuttle participants around the town took nearly an hour. Linda P. Fried, the dean of Columbia University’s Mailman School of Public Health, allowed three hours at midday on Monday to travel from her hotel to the uncrowded registration center nearby and then a few blocks to the conference. But because of the gridlock, she was a half-hour late to give her speech. The topic had been the health risks that arise from climate change. “I’ve been coming for eight years and this is the worst I’ve seen it,” she said. But she bristled when asked whether some — like perhaps President Trump — might question the incongruity of discussing global warming during a blizzard. “It isn’t accurate, people just don’t understand, that’s not the metric,” she said. Climate scientists have long warned that rising emissions of greenhouse gases by humanity may cause weather extremes, and not just heat waves. But it is hard to link any single weather event to climate change. Still, there were some who liked the snow: avid skiers. Should the NHS pay for transgender fertility treatment? December 31, 2018 Comments Off on Should the NHS pay for transgender fertility treatment?